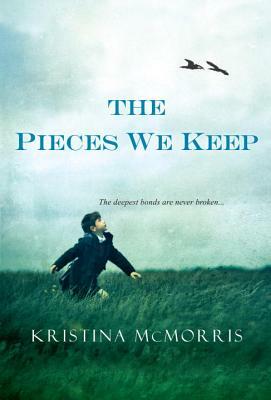 In this richly emotional novel, Kristina McMorris evokes the depth of a mother's bond with her child, and the power of personal histories to echo through generations. . .
Kristina McMorris is a New York Times bestselling author and recipient of more than twenty national literary awards. She lives in the Pacific Northwest with her husband and two sons. She is the author the widely praised novels The Edge of Lost, The Pieces We Keep, Letters from Home and Bridge of Scarlet Leaves. For more, visit KristinaMcmorris.com. While reading The Pieces We Keep, did your interpretation of the title change over the course of the story? Discuss the symbolism of the cover image in the same regard. What does “faith” mean to you? How did you come to arrive at that conclusion? Has a personal tragedy ever caused you to reexamine and/or alter your core beliefs? When comparing the novel’s dual timelines, how do the past- and present-day stories parallel? How do they contrast? Memories—cherished and burdensome, lost and recovered—are major elements of the book. Which memories in your life have played a distinct role in shaping your personality? If given a choice, would you erase any from your mind? How different might you be without them? Of the various parental relationships in the book, which are the most interesting to you? Do you identify with any of them? How has your view of your own parents, or your relationship with them, developed over time? Connections between the past and present were interpreted by characters in different ways throughout the story. Early on, what did you perceive as the source of Jack’s issues? Did that change by the book’s end? Do you believe in the possibility of past lives? In your opinion, does such a theory complement or contradict contemporary religious and/or Christian principles? Did the story reaffirm your existing beliefs or expand your thoughts about what might or might not be possible? Vivian’s view of love and marriage greatly change by the book’s conclusion. Upon reflection of your life, how has your perspective on these topics developed and why? How did Isaak and Gene both contribute to Vivian’s growth as a person? Every major character in the book wrestles with grief in some form. Discuss the range of ways in which each person deals with this emotion. Have you or your loved ones ever reacted to loss in a similar manner? At several points in the novel, Audra questions her skeptical and spiritual beliefs. What is your personal view of coincidence versus fate or predestination? How do secrets, whether kept or revealed, affect characters in the story? Do you agree with the reasons they were withheld from others? If you have ever concealed a major truth from a loved one, do you now regret it or feel it was justified? Army Private Ian Downing, whom Vivian encounters at the café, first appeared in Kristina McMorris’s debut novel, Letters from Home. If you were previously familiar with his character, how does his personality differ in The Pieces We Keep? Audra spends a great deal of time doubting her parental abilities. The petition she reviews with Russ reflects and amplifies what could easily be deemed her shortcomings as a mother. How would you rate your own parenting skills, or that of your parents? What ruling might a stranger make based solely on documented incidents? Who was your favorite character early in the book, and why? Did your opinion change as the story progressed? Who was your favorite character by the end?